On 6 February 2017, the United Nations Working Group on Arbitrary Detention (WGAD) released Opinion No. 61/2016. In the opinion, the WGAD determined that Saudi Arabia’s ongoing treatment of Ali al-Nimr, Dawood Hussein al-Marhoon, and Abdullah Hasan al-Zaher constitutes arbitrary detention and violates a number of international legal principles. Saudi security forces arrested Ali, Dawood, and Abdullah in three separate incidents during the first half of 2012. Each was targeted for having participated in peaceful anti-government protests in Saudi Arabia’s Eastern Province, and each was a minor at the time of his arrest: Ali and Dawood were 17 years old, and Abdullah was 15. The Saudi government held the boys in pre-trial detention for 20-22 months before trying them in the country’s Specialized Criminal Court (SCC). The SCC is charged with prosecuting terror-related crimes, and it has been repeatedly criticized by international human rights organizations for a variety of judicial irregularities and due process violations. Such abuses include trying peaceful political dissidents and activists, refusing to show defendants the evidence against them, and preventing defendants from speaking with their lawyers. The trials of Ali, Dawood, and Abdullah also failed to meet international standards of due process. In 2014, the SCC sentenced the three young men to death and they remain at imminent risk of execution. Saudi police arrested Ali al-Nimr in February 2012 as he was leaving school in the Eastern Province town of Qatif. Saudi authorities arrested Ali for his participation in a peaceful protest, and did not provide a warrant. As Ali al-Nimr is the nephew of the prominent Shia cleric Sheikh Nimr Baqir al-Nimr, whom the Saudi government executed in January 2016, his family suggested at the time of his arrest that the Saudi authorities intended it as an attack on Sheikh Nimr. Saudi police held Ali incommunicado for three months. During his detention, police tortured him into confessing to a number of crimes, including “breaking allegiance with the ruler,” using his cell phone to incite demonstrations, and sheltering men wanted by the police. Police forced him to confess by deceiving him into signing documents that he was made to believe would lead to his release. The government held him in pre-trial detention for nearly two years before putting him on trial. His trial did not meet international standards of due process: Saudi authorities prevented him from contacting his lawyer for the duration of his pre-trial detention and then only informed him of the charges against him halfway through the trial. In addition, the court did not allow Ali’s lawyers to access the evidence against him and did not allow him to bring witnesses to testify in his defense. On 27 May 2014, the SCC sentenced Ali to death. Saudi authorities arrested Dawood Hussein al-Marhoon in May 2012 for his participation in peaceful protests. The police did not provide a warrant. After his initial arrest, Dawood was briefly released and the police asked him to spy on other protesters. Dawood declined and was rearrested eight days later as he awaited treatment for an eye injury at a hospital. Saudi police held him incommunicado for two weeks. Over the course of his detention, Saudi authorities tortured Dawood by beating him and subjecting him to electric shocks on various parts of his body. The police also forced Dawood to sign a blank document that would later contain his confession. The Saudi government held Dawood in pre-trial detention for nearly two years before providing him with a trial that failed to meet international standards of due process. Saudi authorities, for example, prevented Dawood from speaking with his lawyer during his detention and trial. At one point, his lawyer was able to access his court file, in which he found that the only evidence against Dawood was his coerced confession. On 21 October 2014, the SCC sentenced Dawood to death. In March 2012, Saudi police arrested Abdullah Hasan al-Zaher for his participation in a peaceful protest. Saudi authorities did not present a warrant. During his arrest, Saudi police shot at Abdullah before beating him with their weapons. He was eventually taken to the General Directorate of Investigation in Dammam, where Saudi authorities held him incommunicado for three months. During his detention, Saudi police tortured Abdullah by beating him all over his body with an iron wire. They then forced him to sign a confession without allowing him to read it. Like Ali and Dawood’s trials, Abdullah’s trial was characterized by severe due process violations. Abdullah was held in pre-trial detention for nearly two years and authorities severely restricted his access to his lawyer. He was brought before a judge prior to his trial, but only so that the court could provide him with the list of charges against him. Abdullah’s lawyer was not present at the time. Throughout Abdullah’s trial, his lawyer was unable to access the evidence against him. On 21 October 2014, the SCC sentenced Abdullah to death. The WGAD transmitted the details of Ali, Dawood, and Abdullah’s cases to the Government of Saudi Arabia in June 2016 and the government responded on 22 August 2016. In response to the WGAD’s communication, the government denied it had arbitrarily arrested Ali, Dawood, and Abdullah, detained them incommunicado, and tortured them. Saudi officials claimed that the individuals concerned were adults and that the country’s criminal justice system provided fair trial guarantees in line with its obligations under international human rights law. The Saudi government also claimed that the protest movement in the Eastern Provinces was not peaceful but included violent riots. Saudi authorities further responded that torture was illegal under Saudi law and that Ali, Dawood, and Abdullah confessed willingly and without alleging torture at the time. 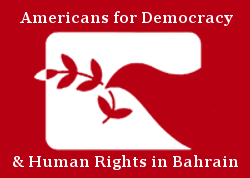 The source providing information to the WGAD dismissed the Government of Saudi Arabia’s response as “evasive, misleading or a fabrication.” Americans for Democracy & Human Rights in Bahrain (ADHRB) has compiled extensive documentation demonstrating that the Saudi criminal justice system does not guarantee or protect defendants and prisoners’ due process rights. Indeed, when the SCC tried Ali, Dawood, and Abdullah, it applied Saudi Arabia’s Laws for the crimes of terrorism and its financing, which were introduced in 2014–nearly two years after the three boys were arrested. As the WGAD opinion notes, this retroactive application of the law violates the principle of legality contained in Article 11(2) of the Universal Declaration of Human Rights (UDHR) and renders the detention of the three young men as being without legal basis. The lack of a legal basis for the deprivation of liberty satisfies the conditions described in Category I of the WGAD’s five categories of arbitrary detention and establishes the Working Group’s first arbitrary detention conclusion in the opinion. Saudi Arabia’s claim that the Eastern Province protests were violent and included riots does not accord with the formal charges brought against Ali, Dawood, and Abdullah. According to the opinion, the formal charges against them did not include any claims that they used force or weapons, or caused injury to anyone. Furthermore, the WGAD notes that the first Saudi security force member’s death during the Eastern Province protests did not occur until August 2012, after the three minors had been arrested. As a result of the Saudi authorities’ inability to justify the boys’ detention, the WGAD concluded their detention arose from the exercise of their right to free expression, assembly, and association. Deprivation of liberty on these grounds satisfies Category II of WGAD’s definitions of arbitrary detention. The WGAD opinion also concludes that Saudi Arabia’s actions regarding the three minors constitute arbitrary detention under the Working Group’s Category III. Category III relates to the “total or partial non-observance of the international norms relating to the right to a fair trial.” In explaining this, the WGAD recalls that Ali, Dawood, and Abdullah were held in pre-trial detention for nearly two years and were denied effective recourse to habeas corpus. The Saudi government also made use of confessions extracted through torture, restricted the detainees’ access to lawyers, and conducted trials and appeals in secret, without providing adequate opportunity for the defendants to prepare their defense. The resulting convictions and sentences were reached in breach of international norms surrounding detention and fair trials. In addition to satisfying the conditions of arbitrary detention as delineated by the WGAD, Saudi Arabia violated several international treaties. Saudi authorities violated, for example, the Convention against Torture and Other Cruel, Inhuman or Degrading Treatment of Punishment (CAT), to which it acceded in 1997, when it tortured Ali, Dawood, and Abdullah and used their coerced confessions as evidence against them in court. Further, torturing, arbitrarily detaining, and denying due process protections to a minor violates Article 37 of the Convention on the Rights of the Child (CRC), to which Saudi Arabia acceded in 1996. Article 37 of the CRC also prohibits imposing the death penalty for crimes committed while under the age of 18. So, too, does the International Covenant on Civil and Political Rights (ICCPR), but Saudi Arabia has not acceded to this treaty. Instead, the Government of Saudi Arabia has made such applications of the death penalty a regular practice. Since 2011, Saudi authorities have arrested more than sixty children, some of which they have gone on to execute, including Mustafa Abkar, Amin Mohammed Aqla al-Ghamidi, and Ali al-Ribh. As of August 2016, at least six young men in addition to Ali, Dawood, and Abdullah were facing death sentences in Saudi Arabia for crimes they allegedly committed as minors. These include Salman Amin al-Koraysh, Hussein Ali al-Bata, and Saeed Mohammed al-Skafi. The WGAD concluded its opinion by urging the Government of Saudi Arabia not to carry out the death sentences of Ali al-Nimr, Dawood Hussein al-Marhoon, and Abdullah Hasan al-Zaher. It requested the Saudi government accede to the ICCPR and to amend its domestic legislation to accord with the country’s international human rights commitments. The opinion also requested that Saudi officials take immediate steps to remedy the situation and bring it into conformity with international human rights law, namely by releasing the three men immediately and granting them reparations. The WGAD has requested that the Government of Saudi Arabia provide it with a response regarding its reaction to the opinion and its recommendations within six months. ADHRB reiterates the recommendations listed in the WGAD opinion. ADHRB further calls on the Government of Saudi Arabia to invite the UN Special Rapporteur on torture and other cruel, inhuman or degrading treatment on a country visit, and to release and pardon all individuals held on death row for crimes allegedly committed while under the age of 18 and for peaceful protests and dissent. Phil Bracey is an Advocacy Intern at ADHRB.